Brian Williams, the anchor of the "NBC Nightly News" for the past 10 years, has agreed to extend his contract, NBC said Monday morning. The Los Angeles Times was first to report the contract renewal. In an interview, Williams told The Times that it was akin to "reaffirming your vows." Deborah Turness, the president of NBC News, described it in similar terms: In an internal memo, she wrote, "Please join me in congratulating Brian and in looking forward to a shared future together." Turness didn't specify the length of the contract. But a source with direct knowledge of the deal said it extends for more than five years, effectively ensuring that Williams will remain in the chair through the end of the decade. 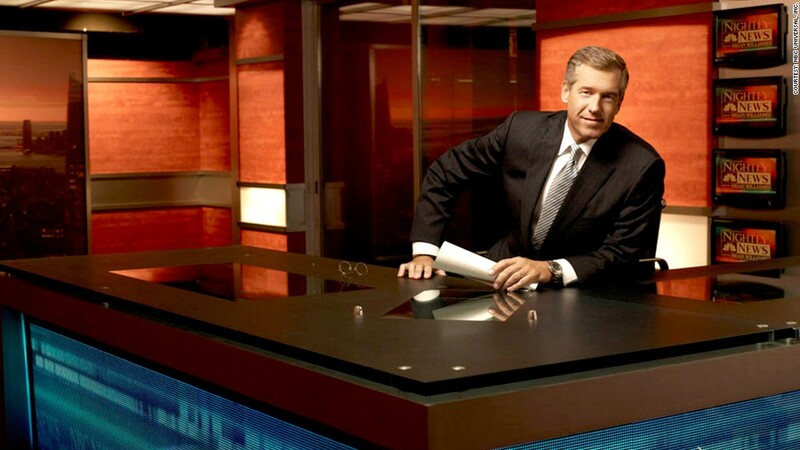 Williams and NBC celebrated his 10-year anniversary at the "Nightly News" anchor desk on December 2. He is presently the longest-serving nightly news anchor, competing every weeknight against David Muir, who just took over ABC's "World News" three months ago, and Scott Pelley, who became the anchor of the "CBS Evening News" three years ago. Williams has been No. 1 in total viewers and in the key 25- to 54-year-old demographic for most of his tenure. Recently, however, Muir has been challenging Williams among 25- to 54-year-olds. In the first week of December, Williams had 9.64 million viewers while Muir had 8.84 million and Pelley had 7.48 million. Among 25- to 54-year-olds, Williams had a slight lead, with 2.31 million versus Muir's 2.14 million and Pelley's 1.87 million. "In this changing news and media environment, that special trust in Brian is more important than ever, and therefore wherever Brian is, the audience follows," Turness wrote in her memo.